After all he is a huge market attraction for Transylvania and Romania. The books by Bram Stoker allowed the idea of Dracula to "live" on in the Western world. Yet, the man is something of a mystery. In many ways he is not as important a figure as what some will make him out to be. He is however the most famous due partly to Stoker's novel. 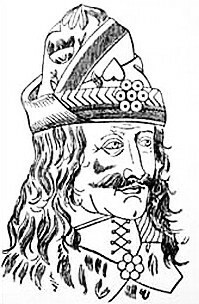 These are images of Vlad Tepes, and the one just above is possibly the more interesting of the two-- this image shows a bit of his name. 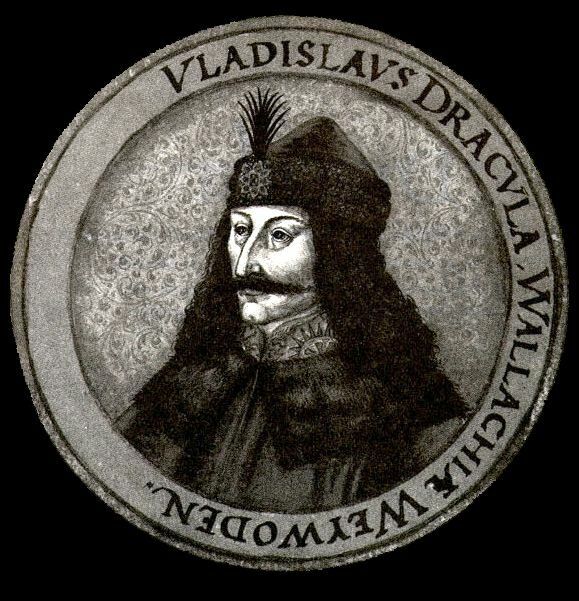 Vlad Tepes is someone who made Dracula possibly, but of course he was not the only person.